I'm not sure how to set up a poll, but opinions are welcome! Here's a little known secret - if you want a basic color (i.e. black, red, etc. ), use VHT header paint. I redid my calipers a few months ago and they seem to be holding up great compared to the duplicolor crap, which was flaking after only a week. I wouldn't do the mis-matched blue...but black would be nice, and red is never bad...but on that car I would do black. So what about color matched Grabber Blue? depends what kind of detailing your talking about! 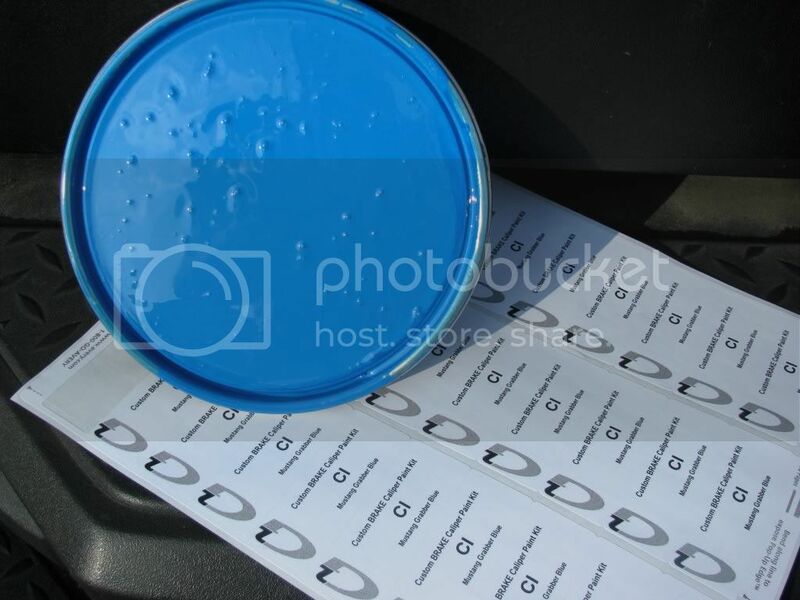 Adam's Americana Premium Carnauba Car Wax - Best Carnauba Car Wax! Shutup Bob, stop trying to make me spend more money than I can!!! That would look amazing...but I would worry about the matched paint having the properties necessary to resist brake dust, etc - unless he does disassembly and color-match powdercoating, which is the Epic Win. 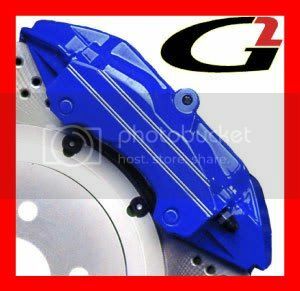 That is what I will be doing to get rid of my black gloss on my front calipers with Saleen logo and convert to red powdercoat with ROUSH logo. G2 does color matched to any factory paint code. It will hold up exactly the same as any of their stock colors which is amazing.